Perfectly compatible with the latest iTunes 12.9. Urgent Note: Tune4mac iTunes Video Converter Platinum can't support MacOS 10.13 High Sierra and macOS 10.14 Mojave. High Sierra users can downgrade mac 10.13 to 10.12 to make it work again. 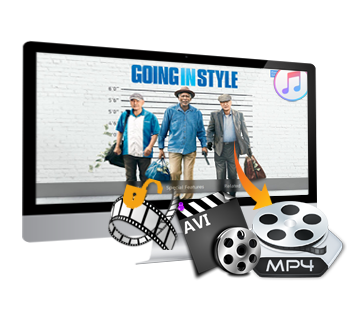 Excellent DRM M4V converter to convert iTunes purchased DRM M4V videos to unprotected MOV, MP4 for iPhone XR, iPhone XS, iPhone XS Max, Nexus 6 and etc. Powerful Apple Music Converter to save Apple Music tracks, Audible audiobooks & M4P music as format MP3, AAC, WAV and FLAC with 100% lossless quality. Specially designed to convert Spotify song or playlist to MP3/AAC/WAV/FLAC. Also can burn converted tracks to CD or share via Email. 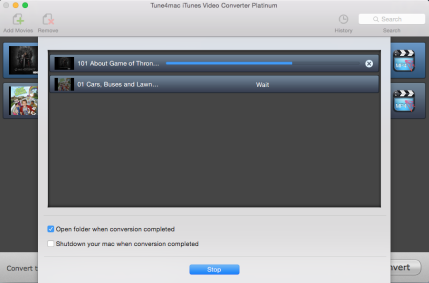 Tune4mac iTunes Video Converter Platinum saves me from the trouble!!! I had wasted money on a DRM removal which gave me really bad result. Until I use Tune4mac, I find it is what I need. It perfectly removes the DRM of my purchased iTunes TV Show and exports really good quality converted video for my Samsung Galaxy Note. I would not feel boring while travel now!"